大学院入試情報Show posts in this category. 学生に読んでほしい本TOPShow posts in this category. 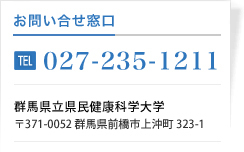 学部入試情報Show posts in this category. 重要Show posts in this category.